Buying a home is an exciting milestone in life, but it can also be overwhelming to buyers who are unfamiliar with the process. Learning about what to expect can ease the stress and make the whole experience more enjoyable. Here are six important steps that ensure a smooth transaction. 📝 What Happens After Offer is Accepted? 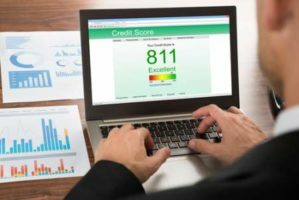 If you’re thinking about buying a home, the very first thing you should do is check your credit score. Just a few points can change interest rates, impacting the overall cost of the home. Credit scores can also affect necessary down payment amounts, and a low score can even disqualify you from obtaining a mortgage at all. Before opening the classifieds, find out what your score is and learn how your financial activity affects it. This lets you know where you stand, gives you the chance to check for errors, and gives you time to make any necessary changes to improve your score. If you’ve decided that your credit is at the right level to purchase a home, now is the time you need to decide how much home you can afford. Free calculators online will estimate your mortgage payment based on projected interest rates, loan amount, down payment, and sale price. Once you find a number you’re comfortable with, figure out your down payment. The gold standard is typically 20 percent of the purchase price. This qualifies you for a conventional loan and can even increase your chances of getting approved. Don’t worry if the number seems out of your reach though. If you are a first-time home buyer, many banks and credit unions now offer special mortgages that reduce the amount needed upfront. Just keep in mind that a lower down payment means more money spent during the life of the loan. Saving money for a bigger down payment now will save you money in the future. Now it’s time to choose your real estate agent. This may be one of the most important steps in the home buying process because your agent is your personal shopper, navigator, guardian, and advocate. A good agent will help you pinpoint exactly what you’re looking for, find it in your price range, explain every step of the sale to you, protect your interests, and fight to get you the best deal. It’s important to make sure you and your agent are compatible so do our research. Ask for recommendations, check reviews, and set up interviews with a few top candidates. It may seem a little extreme, but you’ll be grateful you put in the extra effort when you’re sitting at closing with your trusted agent by your side. Now it’s time to approach the banks. It’s still perfectly acceptable for buyers to obtain financing after a house has been selected, but you increase your purchasing power by taking this step now. Sellers are more likely to accept your offer if they know your financing won’t fall through, and you know how much the bank believes you can afford. 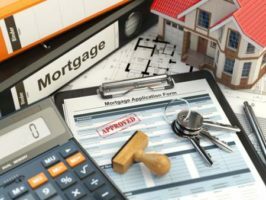 Once you’ve been pre-approved for a home mortgage, as long as you don’t change your credit score by taking out new lines of credit or maxing out existing ones, you can have confidence that your closing date won’t be held up by your bank for financing issues. After searching the market, you’ve found the house of your dreams and you’re ready to make an offer. You might be tempted to just offer the asking price, but you could end up paying thousands more than if you took the time to submit a competitive offer. To craft an appropriate offer, you should decide an amount for your earnest money deposit. This deposit is a good faith offer to the sellers and shows them you are serious about purchasing the home. Depending on state law, this may or may not be refundable. Your agent will then help you determine how much the house is worth in the current market to weigh against how much it is worth to you. Once an amount is decided, your agent will finalize the offer and set a consideration window for the sellers. At this point, once you’ve approved everything, the offer is sent to the sellers and you’re left to wait for their decision. If the sellers accept your offer, congratulations! Now it’s time for both parties to fulfill their roles in completing the sale. As the buyer, this should include setting up a home inspection, coordinating an assessment with your financial institution, and meeting with the sellers for a final walk-through. Once all these steps are completed, it’s time for all parties to meet to complete the closing paperwork. After all the signatures are collected, unless an alternative move-in date has been arranged, the sellers will often pass the keys to you at the end of the close. Now it’s finally time to break into your happy dance and celebrate your new home!